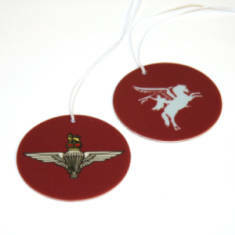 All engraving is included in the price - There is no extra charge for additional text. 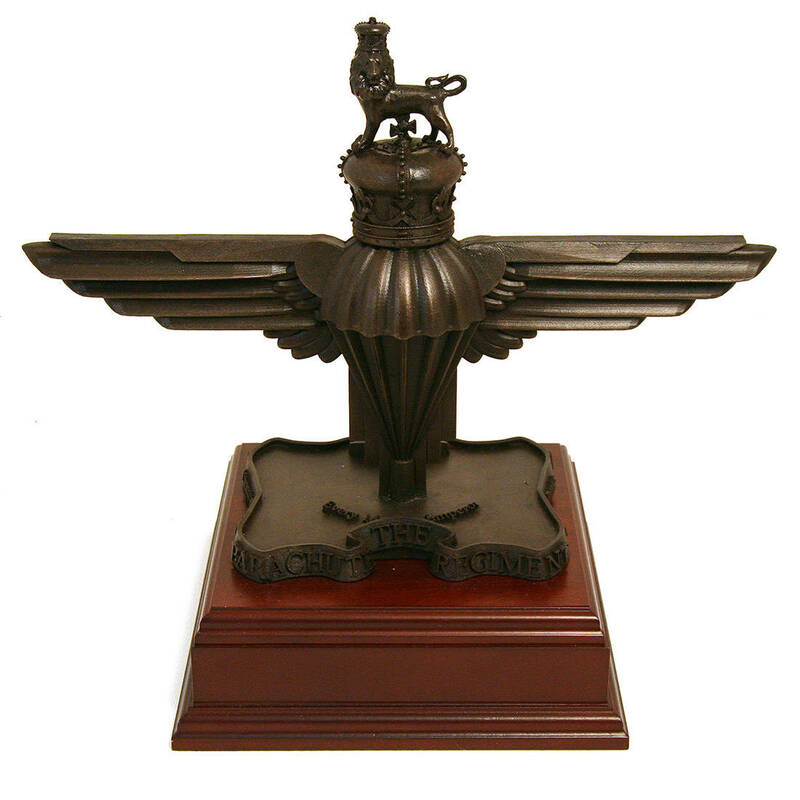 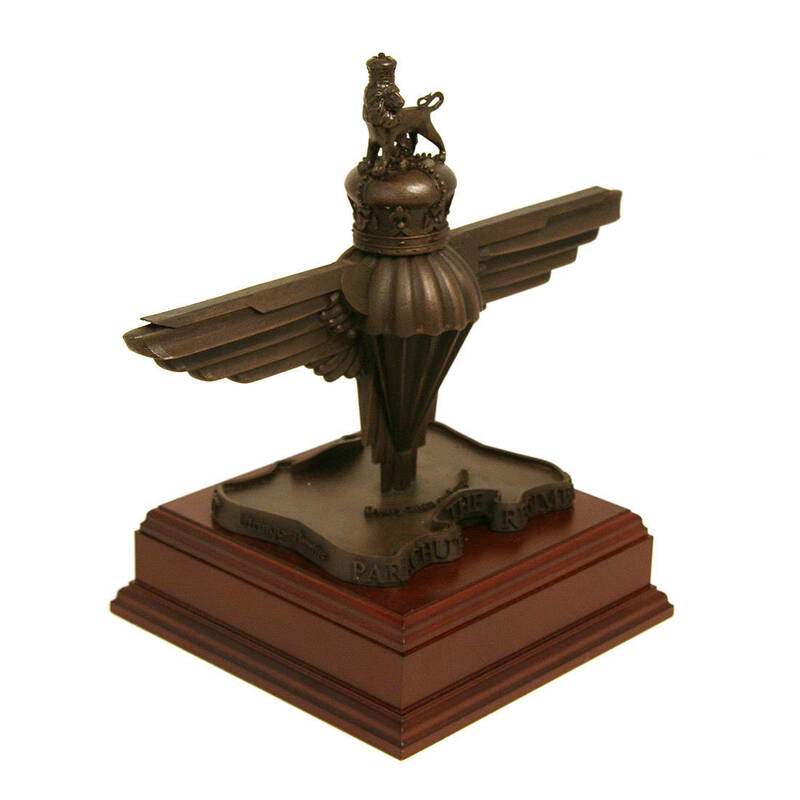 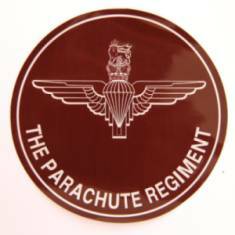 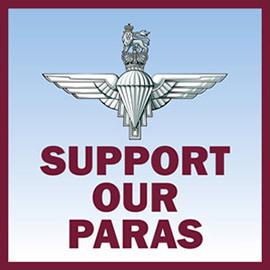 A unique statue depicting the Parachute Regiment Cap Badge in full 3D form! 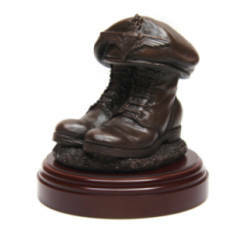 It's made from resin with a bronze finish, and stands on a dark brown wooden base. 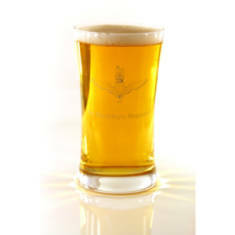 You can add an engraved plaque with up to 85 characters (incl spaces) over 3 lines at no extra cost! 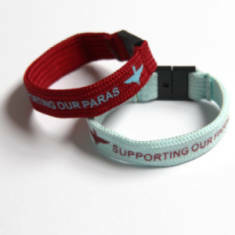 Please note that engraved items are made to order, will take 2-3 weeks to be produced and are non-returnable.